The highlight of the Bridport Rotary Club’s President’s Evening - last Tuesday was guest speaker Kate Adie CBE, DL, war correspondent and journalist who was joined for the evening by Colonel Mark Cook, founder of Hope and Homes for Children. 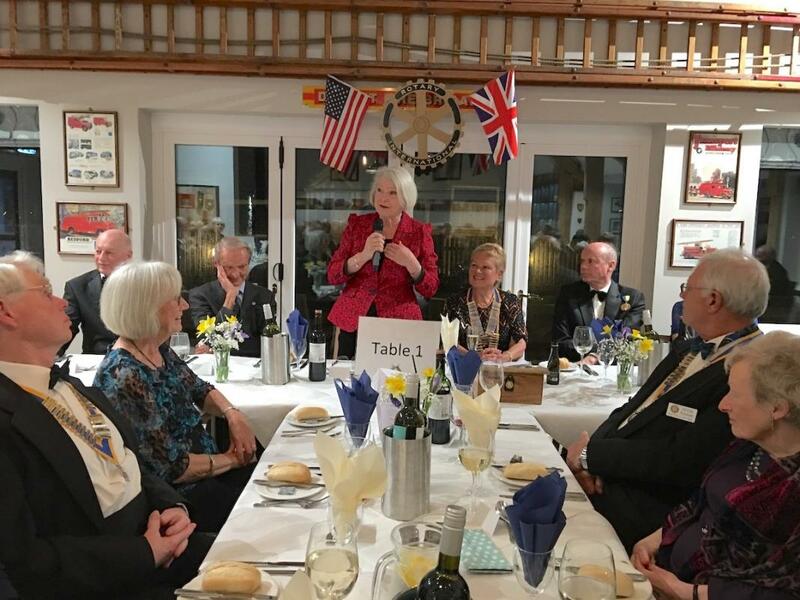 President of the Club Chrissie Bailey, has been involved with Hope and Homes for Children practically from the charity’s birth, and is an ambassador/speaker for this worthy cause. Chrissie welcomed Kate and Mark and over 70 guests and members to Highland’s End Holiday Park. Ms. Adie – with her recognizable superb voice spoke of her early days with local radio having worked for the BBC at weekends was taken on by the broadcasting organisation. Her first assignment was to cover ‘Cruft’s’ dog show. However she progressed to sending dispatches from war torn areas all over the world. In Eastern Europe Ms. Adie encountered children in dreadful orphanages, particularly in Bosnia and Herzegovina and Romania. There she also met Colonel Mark Cook serving as an officer with the British army. One orphanage in particular which, moved them both, was an orphanage in Sarajevo where the staff had fled (or been killed) and children were left to fend alone, with only the caretaker to help them. There were tiny babies and older children just coping alone. Kate also told us about the kind of conditions that foreign correspondents lived in whilst reporting from war zones. They slept in basements, on floors with just mattresses on occasions, there was frequently no food or water the hotels and large buildings having been reduced to rubble. 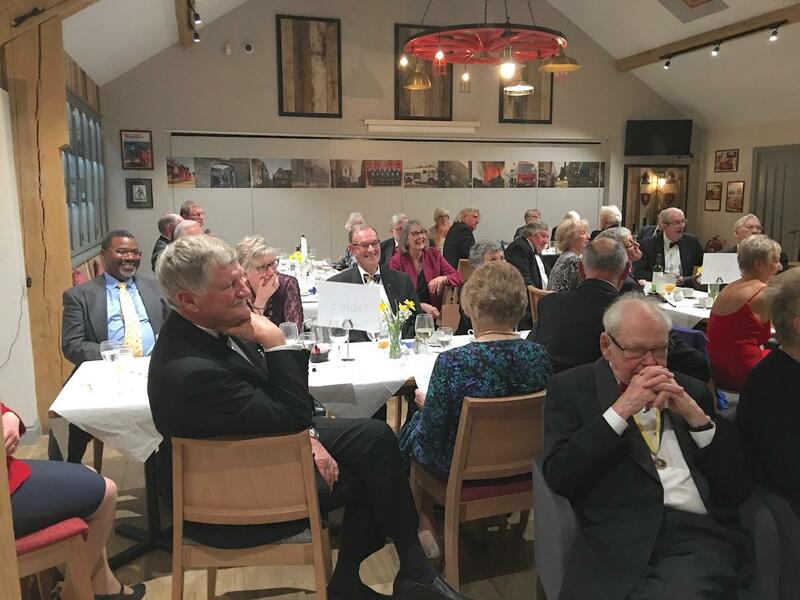 President Elect – and Past President David Weston had organised the evening and Past President Clive Bath was MC and Toast Master. 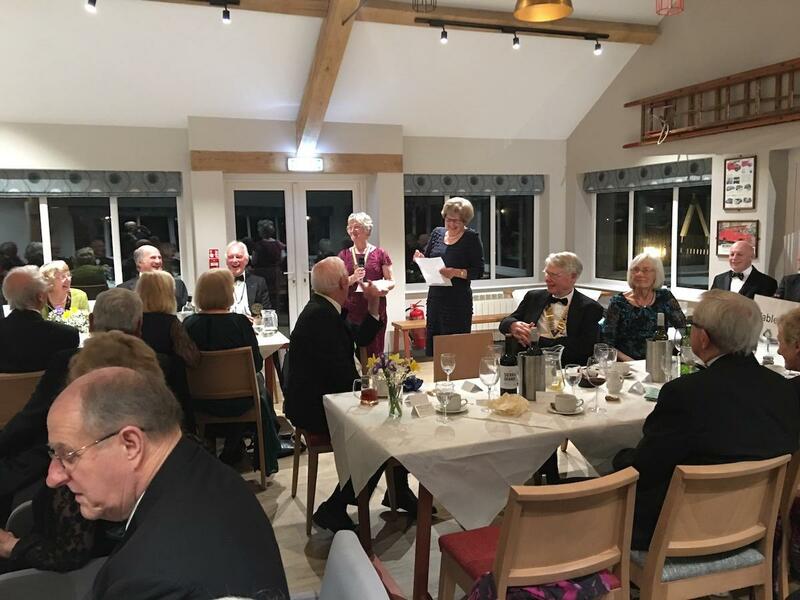 In her toast to the guests, President Chrissie spoke of the honour of being the first woman President of the Rotary Club of Bridport. She spoke of the numerous youth activities sponsored by the club locally, and of the large amounts of money raised in achieving this. This, she said, was entirely down to the support of partners, wives, husbands and supporters and Business Partners, who play an essential role in our success. 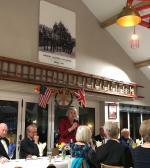 In reply District Governor Stewart Cursley congratulated the club on 71 years of such good work. 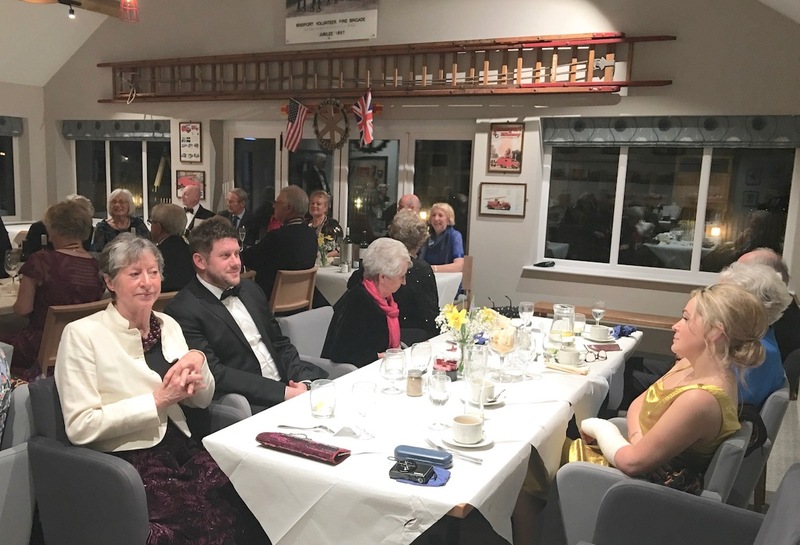 Jennifer Conway and Irene Smith (Joint Presidents of Bridport Inner Wheel) also spoke in response to President Elect’s toast to the partners. 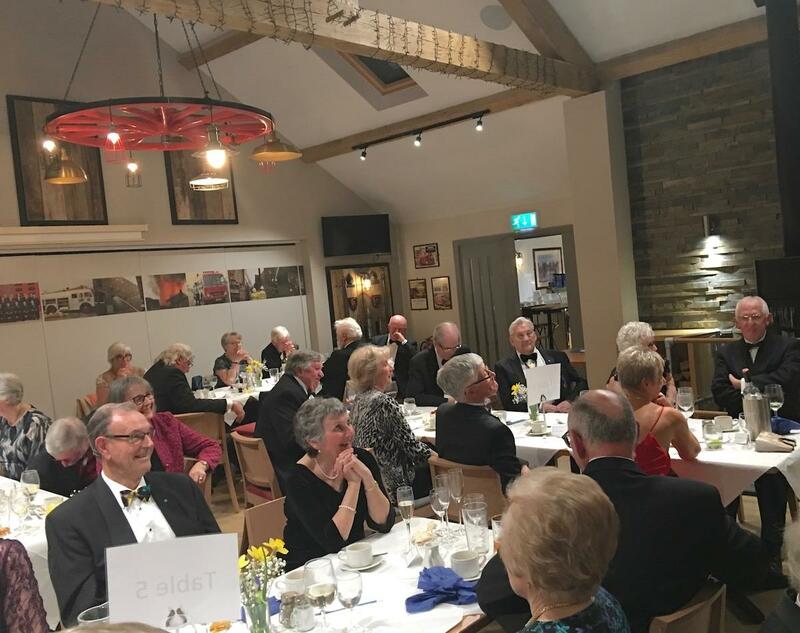 Past President Clive Jeans toasted ‘Absent Friends’ and Past President Roger Stoodley gave the Rotary Toast, in partnership with all clubs represented at the evening. 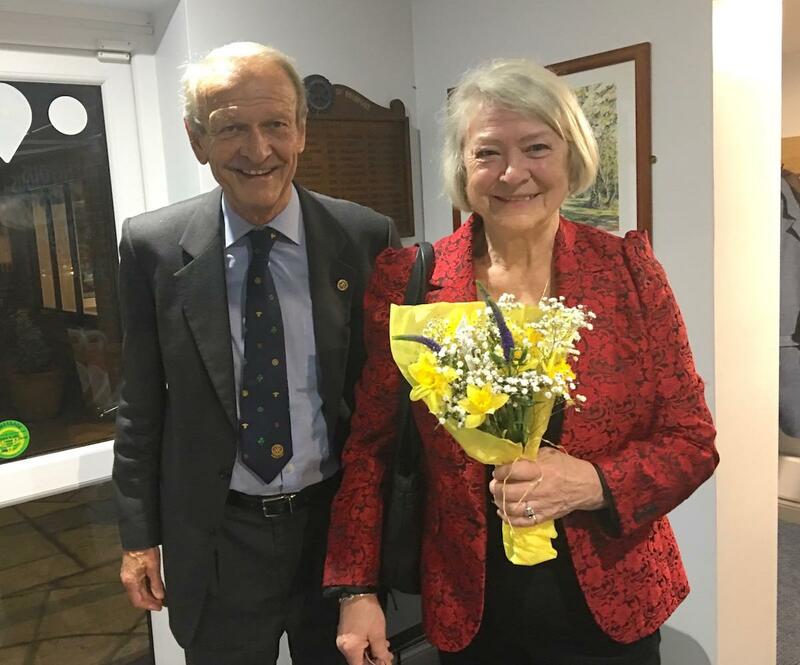 (Brit Valley, Lyme Regis, Wells, Crewkerne and Yeovil) Kate Adie was presented with a posy of spring flowers, which concluded a very memorable evening.